NAU is created by three young architects with one passion: Architecture. Studio is composed of technical figures specialized in different areas of design, order to meet the various aspects of the composition. NAU is the first "architectural network," an integrated system of design, graphics, design and planning. NAU is created by three young architects with one passion: Architecture. Studio is composed of technical figures specialized in different areas of design, order to meet the various aspects of the composition. 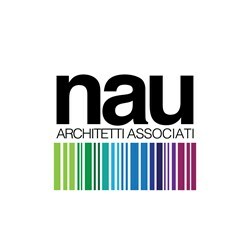 NAU is the first "architectural network," an integrated system of design, graphics, design and planning.